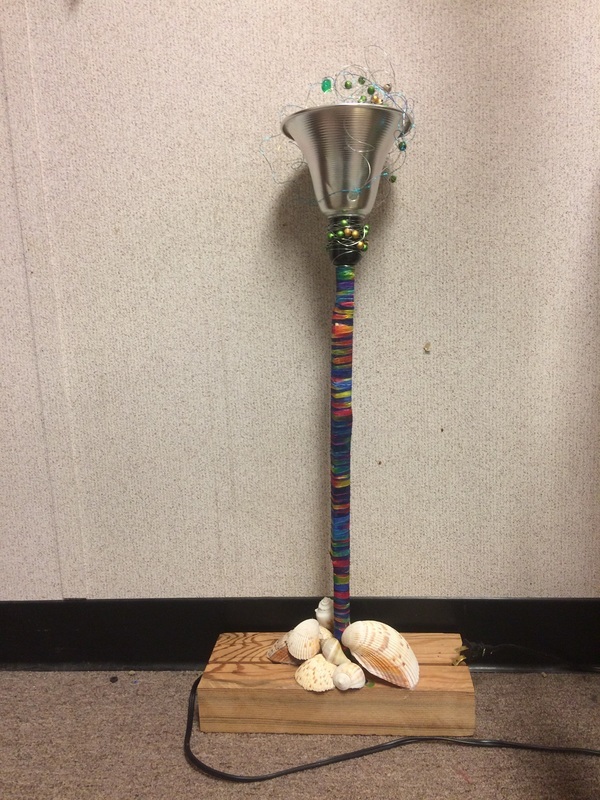 For my art project I created a lamp. I started with building a sculpture but decided on making a lamp, it would be a creative and useful art piece. I started with the idea to put a bunch of junk into the sculpture so I built it by just finding things around the house and adding them piece by piece. But then as I started to get ideas I created a very cool piece of art made from simple stuff. My lamp is made from a large block of wood at the base. The electrical cord runs through a small pvc pipe that is wrapped in string. At the top of the pipe, inside aluminum shade, is the socket for the bulb. Around the bulb and lampshade I have wires and beads. I wanted to make my art piece fairly simple yet still interesting. The bottom has a simple look and towards the top it has a more modern art look. For this project we had to make a documentary about something that had to do with the environment. For us we started by choosing the idea that we would cover the subject of mining effects on fish. We started by researching different things about our subject and finding people that we could interview. We then scheduled interviews with 3 people about fish, mining and other things along with that subject. We worked very hard on editing the video and making it good for our exhibition. Overall it was a very interesting project. 1. We used art in our documentary as a form of communication. We made piece of art our video and communicated a problem wth our environment that needs to be fixed. We showed the problem and showed how it can be helped. 2. Artists produce preliminary plans to make sure that their art piece will be as good as they can make it.. Just as in writing if you start with no idea and try to finish your piece of art or writing will not be very good. To make the art piece great you must start with making ideas and plans and thinking about how you want your art piece to turn out. From there you can make a beautiful art piece. 3. I think that the most important skill needed for art of the 21st century skills is simply creativity. Yes you can draw a picture of something you are looking at or paint a picture of something you have seen but I think that the best works of art come from simply coming up with creative ideas on the art. ​I made this project by taking a lot of pictures and slow,t moving the objects in the video forward and then putting it together to make it look as if it was moving. We put a light fixture up to make the lighting on our video better, we used photoshop to create the video. We put the photos in and made a system that would change the size of all the photos to make them fit. I then out them all in Imovie and created the stop motion video. I could use this skill in my documentary project to do many things. I learned hot to piece together pictures which I could use to help with my video editing. I could also put a stop animation video into the documentary to show how something works depending on what my documentary is about. 1. 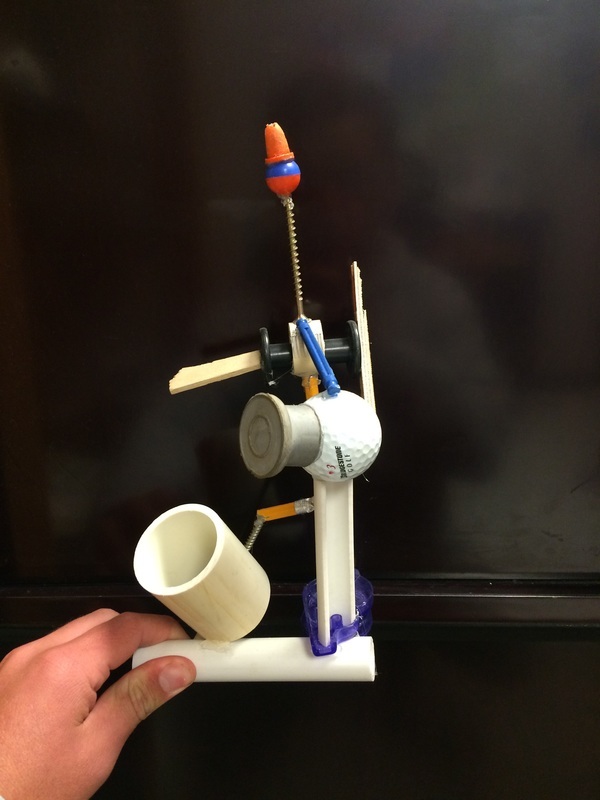 What did you learn from this project? In this project I learned that how to come up with a simple design and work on it and change it until I have a cool logo design that I am proud of. 2. What are you going to take away from this project? What I am going to take away from this project the most is being able to not just come up with something and keep it but to be able to come up with very many ideas and then work from there which helps a lot with perseverance and coming up with a final idea that you really like. 3. What is your personal connection to the logo? My personal connection to the logo is that I love fishing and so I made the letters of my logo fishing poles and hooks. These are some of my preliminary sketches from the beginning of the project. To what extent does a work of art depend on the viewer’s point of view? I think that the work of art does not depend on the viewers point of view very much. To me the art is made for the artist not for the viewer. The artist uses art to express its self. Showing the art is good but I think that the art that the artist designs should not be based off of what you think the viewer will comprehend. Characteristics are used when making a self portrait to show the way that the person wants to be shown in their self portrait. The expressive features are used to show your feelings in a work of art. For this project I needed to make one of my teachers into something else and put them in a place. My first step was to make a google form. I put 5 questions about favorite animal favorite place etc and sent it to few of my teachers. My next step was to look at the responses and figure out which one I wanted to do. I decided to do Stephen Sellers as a sasquatch. I then put my time into making a funny picture of Stephen. The part that I had the hardest time doing was blending the images into the background and making the colors have the same general lighting. The way that I got through this was by just constantly changing the hue and saturation until it all looked the same. My favorite part of this project was making whatever I wanted. I really liked that in this project I was able to do whatever I wanted and really be able to create whatever I wanted with very few rules. What I have learned most in this project is that I really like putting random things in nice pictures. I selected and changed the hue of her hair. I used the hue changing tool to change the color of the eye. I used the brightness changing tool to change the color of the car. While doing this project I learned the difference between foreground middleground and backround. 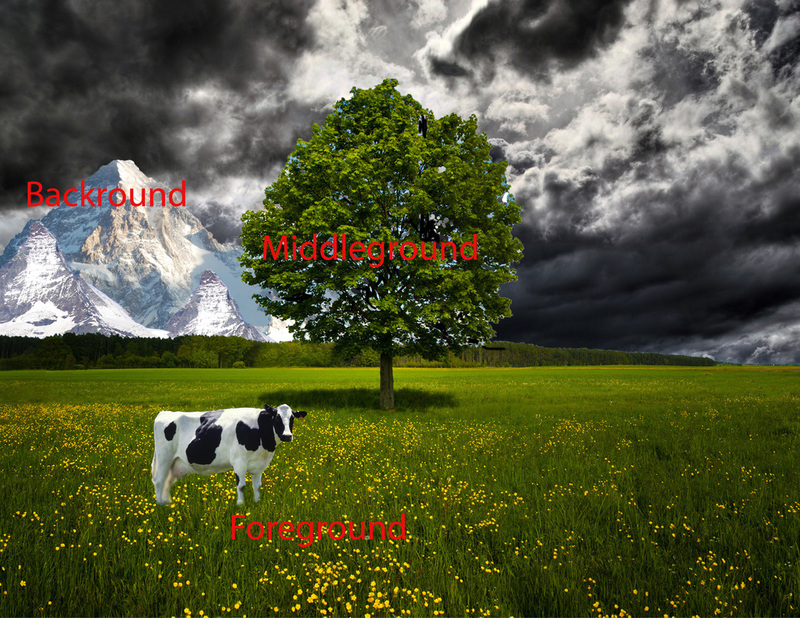 The forground is the closest to you and most visible and defined. For me it is the cow. The middleground is still close but not as much as the foreground. My foreground is the tree and the field it is still somewhat clear and defined but is more blended than the cow. The backround is far away hard to see bluury and undefined. My backround is the mountains they are somewhat clear but far away and small. I liked this project because it gave me time to play around with photoshop and be creative. I also got to learn how to crop and adjust and use all the photoshop tools. I found that using the magic wand tool was very helpfull because it would automaticly highlight what i wanted to outline. 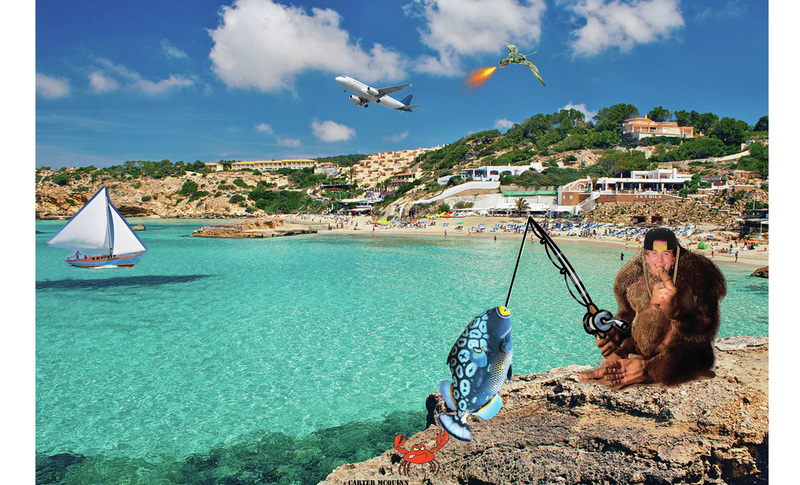 I also learned through this project was how to create a more realistic looking photoshop project.